From what I have observed, organic food and beverage are not cheap. 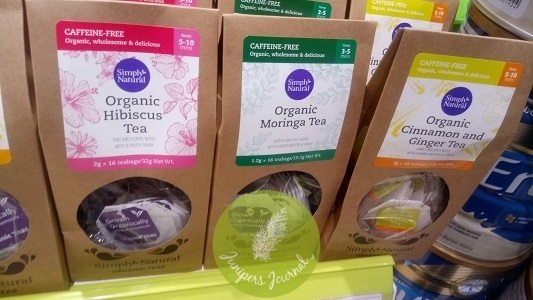 However I just came across Simply Natural Organic Tea Series at Watsons and the price is a reasonable RM16.80 for 16 sachets. 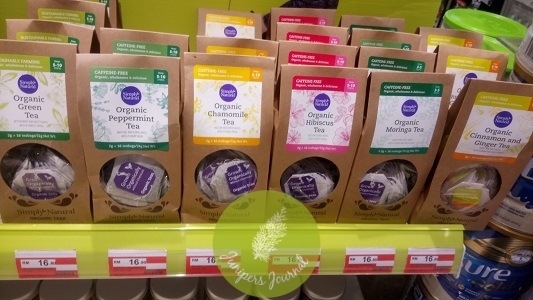 The varieties available at Watsons are Hibiscus Tea, Moringa Tea, Green Tea, Cinnamon and Ginger Tea, Peppermint Tea and Chamomile Tea. I am a little curious about Moringa Tea but I have no idea whether I will like it or not. 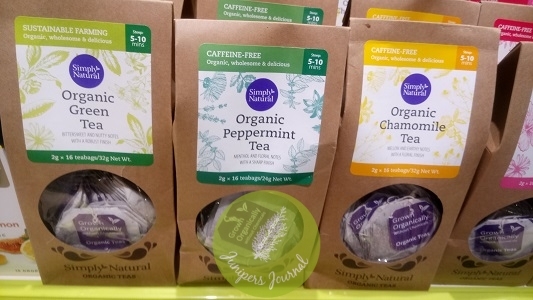 Moringa Tea should be great for health since it contains vitamin A, B & C, and minerals such as calcium, iron, magnesium, potassium & phosphorus. I could do with Hibiscus Tea since I have high blood pressure. It is described as a “cranberry-like sourly flavoured tea” so I am not sure if I like the taste.